Cardiovascular disease (CVD) is a very serious and life-threatening condition. Hypertension (HT) is a significant risk factor contributing to CVD, and also one that may be detected early and controlled; thus, reducing CVD-mediated mortality and morbidity. Recently, the growing trend of adolescent obesity has predisposed youth to both HT and CVD, and has become a serious health concern within the population. Obesity appears to have both genetic and environmental/nutritional factors, and given the risk to health, merits dedicated research to understand and, hopefully, combat it. 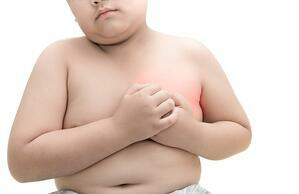 Research is currently on-going to understand the etiology of CVD and HT with respect to youth obesity trends. In the research project titled: “Hypertension and obesity in high school students: Genetic and Environmental Factors (HYGEF)” lead by Prof. paolo Manunta of the Genomics of Renal Disease and Hypertension Unit at the IRCCS San Raffaele in Milan, Italy, the researchers are actively trying to understand the genetic and environmental underpinnings of the obesity epidemic in Italian youth. In the HYGEF project, the researchers planned to collect biological samples and clinical data from three thousand (3,000) high school students from three different geographical areas of Italy (Milan, north; Livorno, middle; Grottaglie (TA), South Italy) for the purpose of: (1) determining the prevalence of youth obesity and HT; (2) exploring the correlation between specific genes and HT; and (3) looking at whether urinary markers of inflammation and oxidative stress were correlated with HT and select genotypes. The students provided detailed data regarding blood pressures (BP) measures, anthropometric values, dietary and lifestyle information, a spot urine sample, as well as genomic DNAs from saliva using Oragene self-collection kits. Needles scared the children and swabs yielded poor results. The interim results - which the authors plan to present at the 2018 European Society of Hypertension (ESH) congress as oral presentation and at 2018 European Society of Human Genomics (ESHG) Conference poster session - show regional differences for both estimated sodiuria and SBP values, significant BP correlations with BMI and sodiuria. Children of hypertensive parents have higher SBP values than their peers. Furthermore, a genetic component to greater excretion of urinary sodium, as well as BP, was observed. The results obtained in this young population confirm the role of the genetic network ADD-EO and allowed [us] to identify interaction between environmental factors (different eating habits) and genetic polymorphisms linked to HT. Final results of this study may represent the basis for future interventions (educational, clinical, pharmacological). The research group is comprised of: Laura Zagato, the study coordinator and supervisor; Elisabetta Messaggio; Simona Delli Carpini; Lorena Citterio; Chiara Lanzani; Elena Brioni; Simone Fontana; Paolo Manunta, co-PI; and Roberto Bigazzi, PI. The study is being carried out under the auspices of the Italian Ministry of Health grant (PE2011-02346988). We at DNA Genotek congratulate the team at San Raffaele Scientific Institute for their discoveries made thus far and wish them further success in their efforts to understand the genetic components to CVD and HT. If you are interested in trying saliva for your own genetic research, contact info@dnagenotek.com to request free Oragene saliva collection kits.